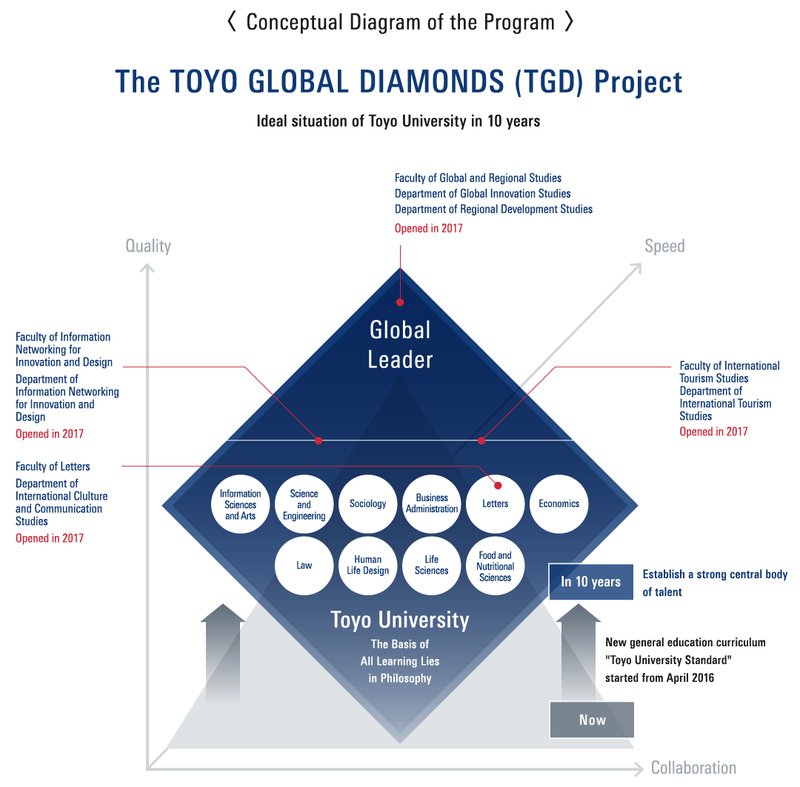 The outline of the project "TOYO GLOBAL DIAMONDS: Becoming an Asian hub university for global leaders" is described as follows. Each of the points mentioned below, as well as the reform of human resources and academic systems, will be the central driving force for implementing university reforms and the internationalization of the institution. The TGL program aims to strengthen various students' abilities and skills: namely the ability to express thoughts and ideas in English in intercultural environments, to create cultural values and to solve problems in settings with various cultural backgrounds. Overall the whole program helps students become globally active citizens. There are seven requirements for students to be recognized as Toyo Global Leaders in this program. According to their level of achievement, they are awarded "Gold", "Silver" or "Bronze" status. Toyo University is promoting internationalization to ensure quality educational programs. In order to operate as a hub university in Asia, Toyo has been actively participating in the University Mobility in Asia and Pacific (UMAP) program and making exchange/transfer agreements with universities all over the world. In addition, Toyo will set guidelines regarding internationalization so that the academic degrees and credit/grading systems will fully meet international standards. Toyo University has been playing a leading role in providing opportunities for global education across a wide range of generations from kindergarteners to senior citizens. One example of this is the TOYO UNIVERSITY-UCLA Extension Business English Communication Program. 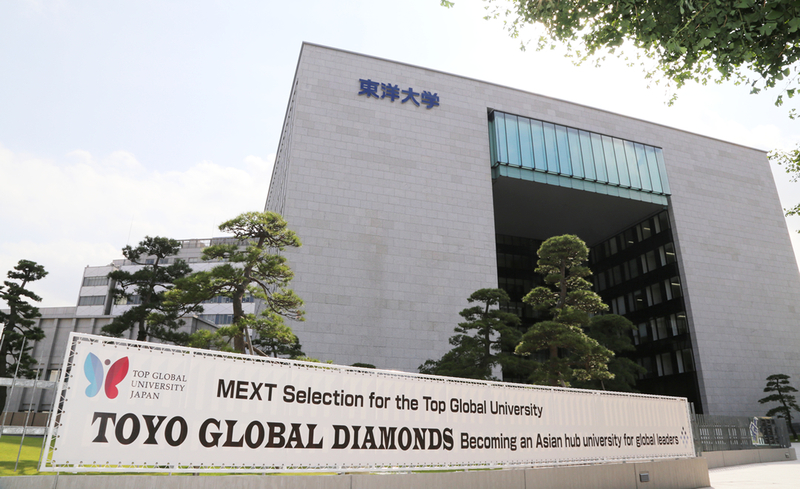 The financially independent in-house corporation named Toyo Global Diamond Co., Ltd. (tentative) is now being planned. This corporation will create educational platforms for global education that enable Toyo to keep promoting and developing the action plans further, even after the Top Global University Project is finished. Establish partnerships with specialized institutions and businesses in the form of "Toyo Global Alliance"